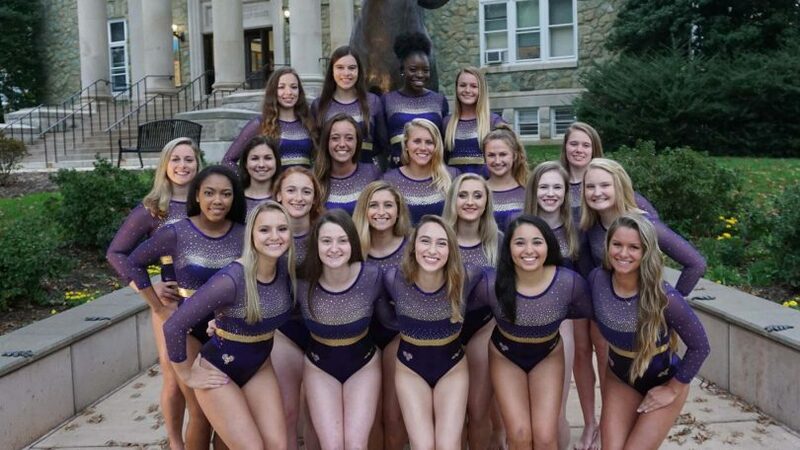 On April 12, the WCU gymnastics team will compete in round one of USAG Collegiate Nationals. To go into more depth about the meet, there are thirteen teams in the USAG Division. There are only six Division II gymnastics schools in the entire country, so Division I and Division III schools are also included in USAG. USAG Collegiate Nationals is composed of six Division I schools, six Division II schools and one Division III school. In order to qualify for the USAG Collegiate Nationals as a team, teams have to place in the top eight in the USAG Division. Going into the last meet of the season, West Chester was ranked ninth in the conference. Having such an amazing meet at ECAC Championships, the Golden Rams came up as underdogs and secured their spot at nationals. West Chester University was ranked eighth based on their Regional Qualifying Score for the year. The Regional Qualifying Score consists of the top six team scores from the year, dropping the highest scores, and averaging the next five scores. There will be two meets held on Saturday, and the Golden Rams are in the first session. They will compete at 12 p.m. In order to qualify for the next day of competition, which is team finals, the WCU gymnastics team has to place in the top two of their session. The Golden Rams will be taking on No. 1 seed Lindenwood University, No. 4 seed Yale University and No. 5 seed United States Air Force Academy. Although this will be a tough meet for the Golden Rams, they definitely have a good shot at qualifying for team finals. As well as trying to qualify for team finals the following day, if any gymnast places in the top five on any individual event, they will qualify to individual finals on Sunday. West Chester University came close to making it to team finals their first time at USAG Collegiate Nationals two years ago, but they did not end up qualifying. The team is very excited and hungry to take on Nationals. The Golden Rams head to USAG Collegiate Nationals on Wednesday.